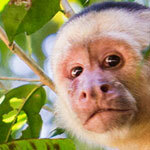 Manuel Antonio and nearby city Quepos have become one of Costa Rica’s most popular travel destinations. With beautiful beaches, lots of nearby activities for day trips and the country’s most popular National Park it’s no wonder why. Wildlife watching fun at Manuel Antonio National Park, Costa Rica. See some of the country’s most iconic critters with ease. 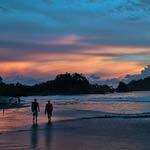 Everything you need to know before traveling to Manuel Antonio; one of the most popular tourism destinations in Costa Rica. Find out the right time to go, the best beaches, nearby attractions, visiting the national park and its astonishing wildlife watching.